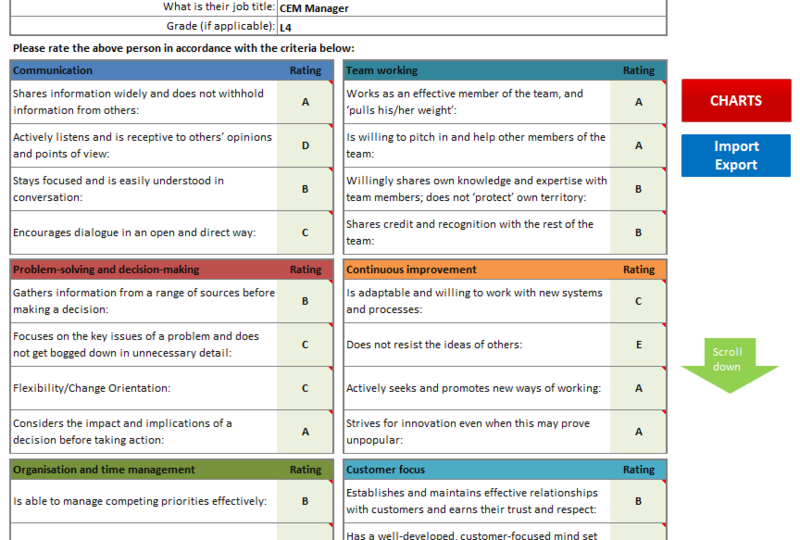 Use this 360 degree template to gather feedback from an individual or from a range of sources. The sample questions relate to a range of competencies, and you can customize the template to suit own particular needs if required. The 360 Degree Feedback Pro pack from Adaptive BMS is an easy-to-use personal performance analysis tool. This tool will also produce a summary report from the completed forms. 1. 360 Degree Feedback Pro Excel template (Microsoft Office 2003 or later).